These kits usually come with a 7.023MHz crystal(s) which are in the EXTRA class bands. Check out our HC49 crystals to move these little rigs to the General Tech/Novice frequencies. The same issues as the Pixie above. Received a few extra disc capacitors as well as an Electrolytic. R2 has two different values to use but no instructions on which one to use – See below. There is basic information on how many turns to wind the inductor but no identification as to core identification: T-37-2 = red and FT37-43 = black. First off….. What is up with those power and antenna connectors??? A standard barrel connector for power and BNC for antenna would have been much better. I ended up soldering an RCA on the adapter and using an RCA to SO-239 adapter (thanks to having older Heathkits). I am getting nothing near 3W as advertised. More like around 500-600mW. My Pixie does better with a smaller transistor!! There are a few threads that mention replacing the drive with a 2N3904 and the final with another but even then they only get about 1.8W output. The sidetone is a nice addition! I find it a little too loud in the headphones and will eventually break a trace and put a trimmer in there to reduce the volume a bit. The receive sounds good with good filtering to remove many of the really high pitched signals. 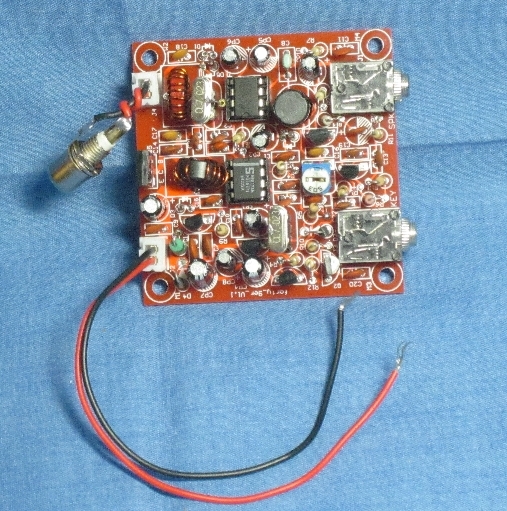 R2 is included with 2 resistor values, 1M and 220K to provide bias for Q1. Q1 is used to cut off the receive audio during transmit. With the 1M the radio is fairly quiet sounding, reducing this to 220K increases the sensitivity but seem to quadruple the background noise. There is a huge amount is hissing noise in the audio, even with the antenna and crystals disconnected. I found this hissing to be in the NE562 area itself. 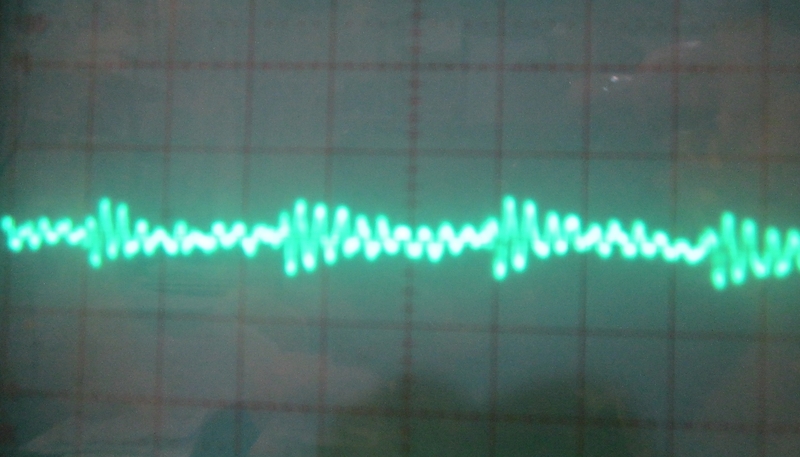 I can also see a great deal of noise (or damped wave oscillations?) on pin 4 of the IC when using an o-scope. You can just see the jumping noise on the o-scope.